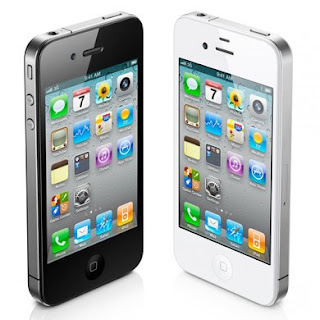 The deal of the week is the Virgin Mobile Apple iPhone 4s 16GB in white or black for $249.99 at Target stores. The 16GB iPhone 4S which sold for $449.99 in September has been discontinued so this is a closeout. But it's a great deal as the 8GB version of the 4S, which hasn't been discontinued, costs $349.99, $100 more, everywhere. iPhone's don't take memory cards so 16GB vs 8GB is a very good thing as it gives you twice the storage memory for music, apps, photos and videos. The sale iPhones are sold out in about half the Target stores I checked. Click these links: white or black to check availability in stores near you. A number of previous week's top deals are still available including the AT&T Nokia Lumia 520 Windows Phone for $79.99 (reg $99.99) at Radio Shack, the refurbished Net10 LG Optimus Extreme (AT&T) Android phone for $39.99 ($149.99 if new) at ShopCellDeals . the T-Mobile Nokia 521 Windows Phone for $79.95 (reg $149.99) at HSN and the free with airtime purchase reconditioned Straight Talk Samsung Galaxy Proclaim (Verizon) on the Straight Talk Website..
Free reconditioned Samsung Galaxy Proclaim (Verizon) or Samsung Galaxy Precedent (Sprint) Android phone with purchase of a $50 Unlimited or $65 Unlimited International refill card. RadioShack Shipping $6.99 unless otherwise indicated. Free ground shipping on orders over $25. Free Ship to Store. Not a bad deal for a newly released phone. Thanks, I've added it to the post. Any screaming deals in the mobile broadband market? T-Mobile has HSPA+ 4G Hotspot for $58. This says $84.88 but in store it is the lower price, at least around my area. Used to say the lower price online as well so don't know. The key to this one was the special Walmart rate: $35 for two months & 3.5 gigs. CNET really trashed this phone. I would wait for something better..
That review is of a completely different phone, the 2012 Samsung Galaxy Lightray for MetroPCS CDMA. HSN is selling the new Samsung Galaxy Light 4G LTE for T-Mobile.